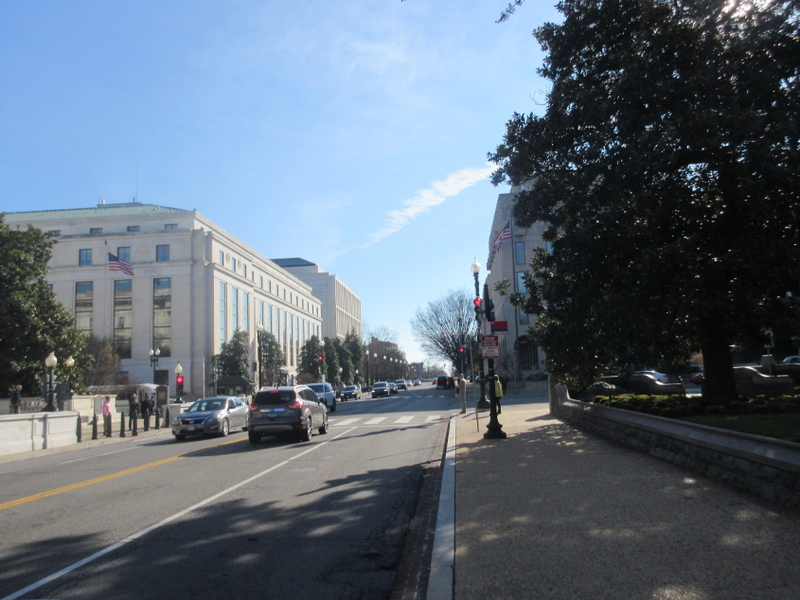 We left off on Connecticut Avenue NW. Part 1 of this roadly exercise showed that the neighborhood bore symbols of dissent against both Hillary Clinton and Donald Trump, but this scene outdoes both. Someone scrawled "END THE POLITICAL DUOPOLY" on the box at left. 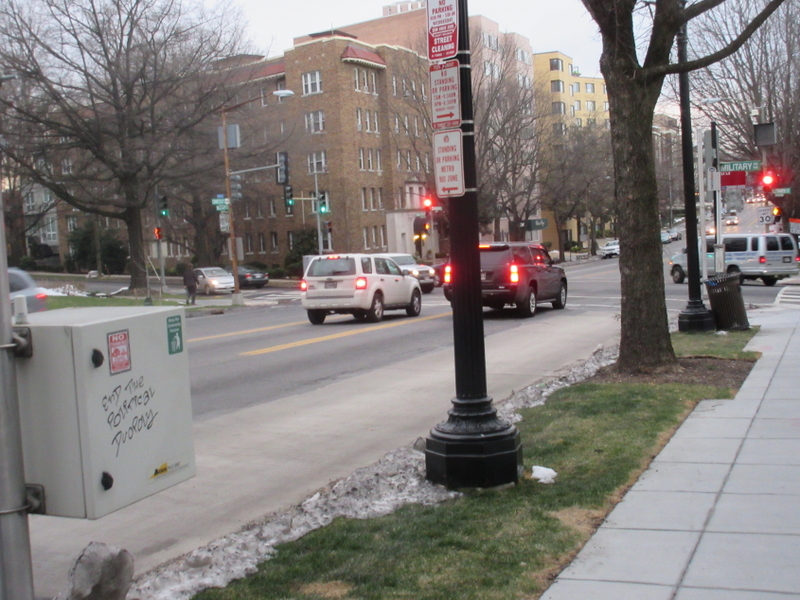 East on Constitution Avenue NW (Alt US 1), down by the Russell Senate Office Building, where I noticed some senator had put toilet paper all over the toilet seat and peed on it. Flying home! 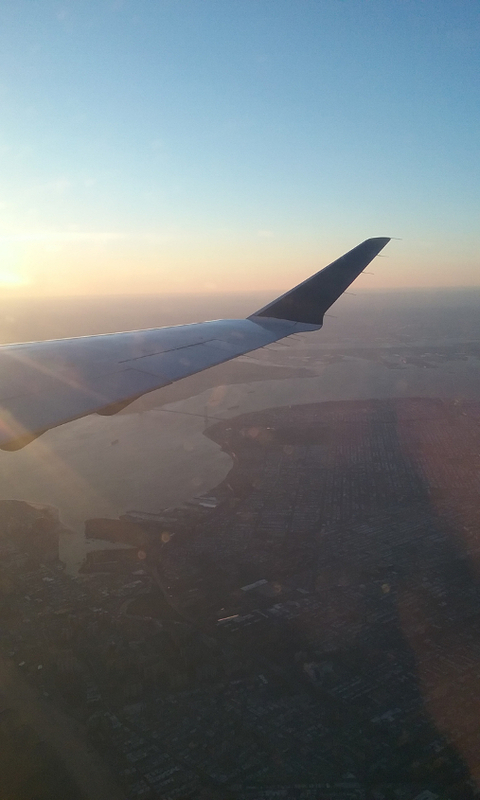 It was Delta, so there was a needless layover in New York. 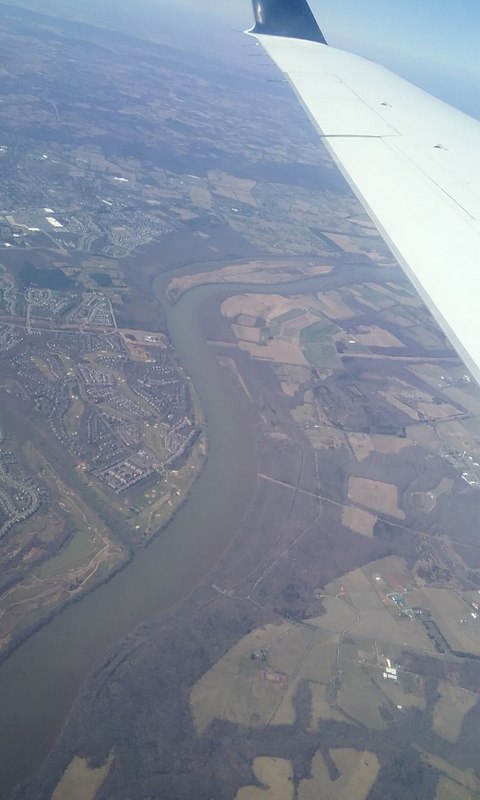 From the flight from DC to New York, this is looking up the Potomac River, with Harrison Island. Virginia is on the left; Maryland is on the right. 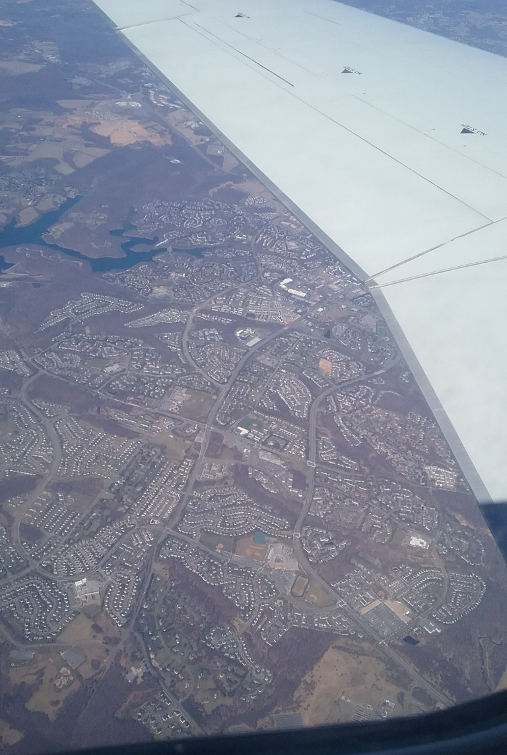 Germantown, MD, and Lake Churchill. Germantown again. I-270 runs diagonally. 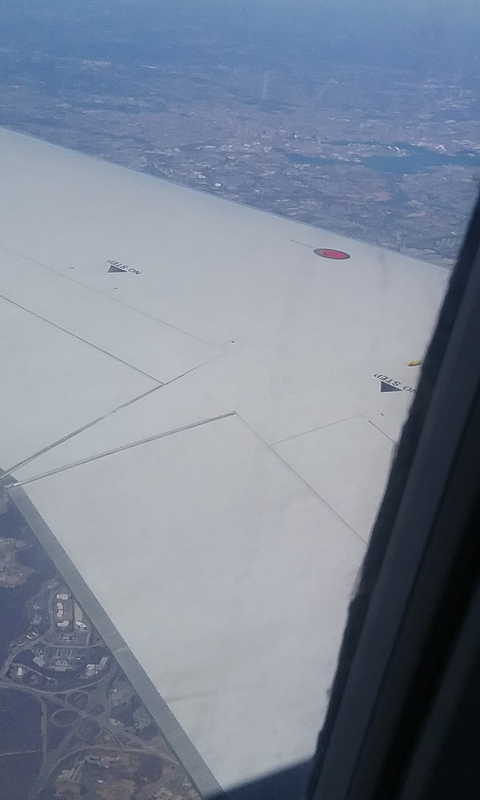 I had to strain to look out the window of this plane, since the window was in such an absurd place. 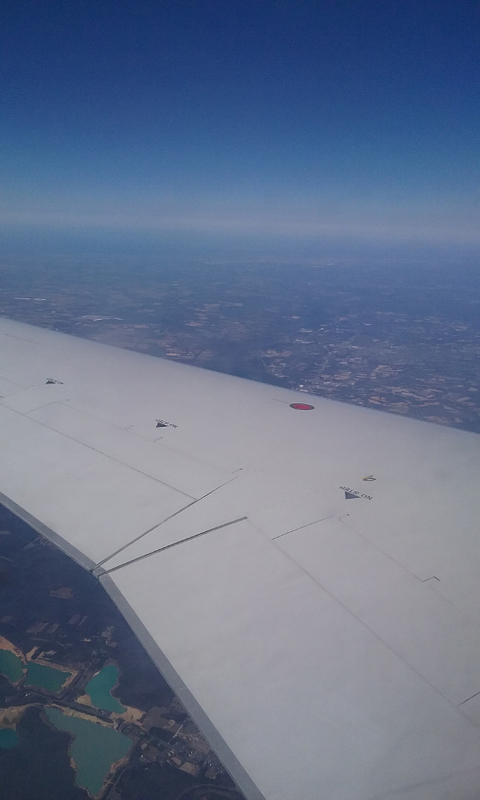 (I had a window seat too!) 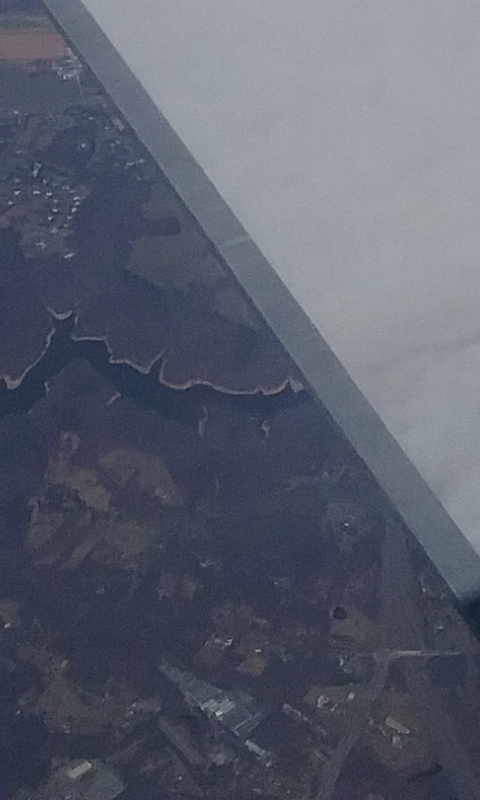 This is a view of Rocky Gorge Reservoir near Burtonsville, MD. The reservoir was formed from the Patuxent River. At lower right, you can see the US 29 freeway, and Old Columbia Pike (old US 29) to the left of that. Baltimore fills the upper half of this photo. At lower left is the interchange of 2 freeways: MD 295 and MD 32. Another view with Baltimore in the background. 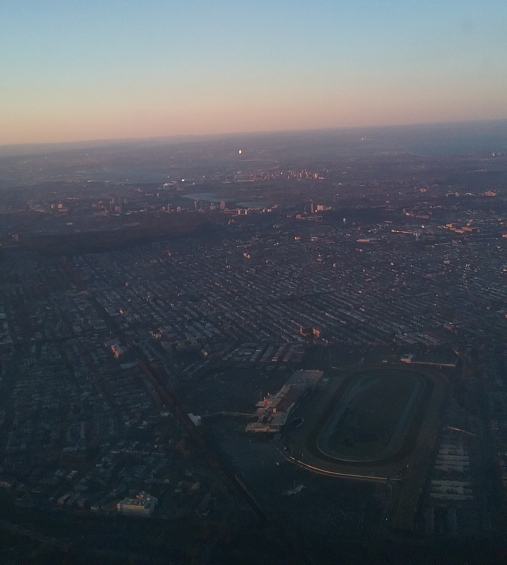 Baltimore/Washington International Thurgood Marshall Airport is at the center of this photo. It's actually busier than the other 2 major DC airports, but it has a near-monopoly by Southwest. 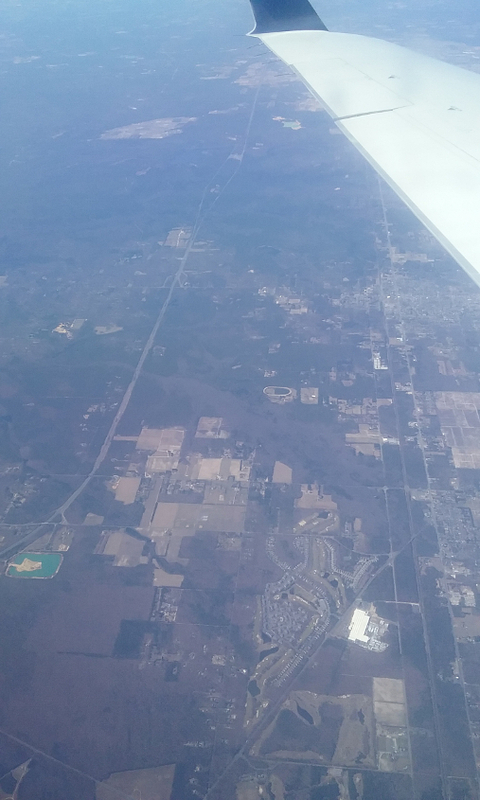 I-97 is the road that runs roughly vertically in the right-hand side of the photo. 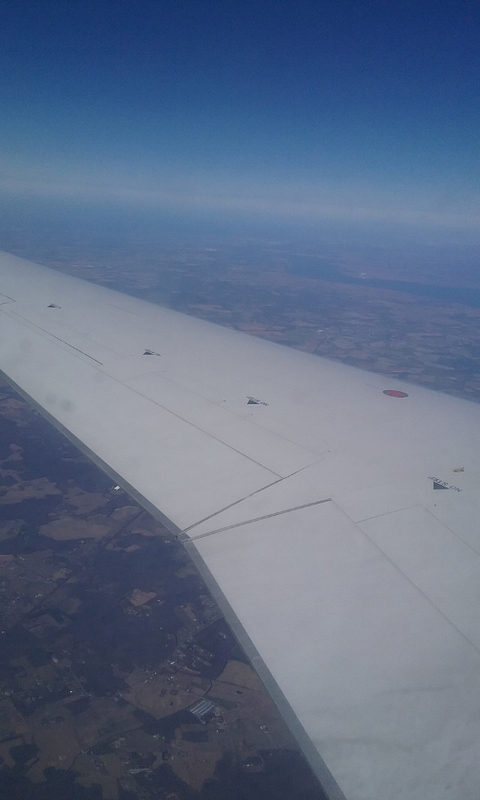 Some general scenery, probably still over Maryland. 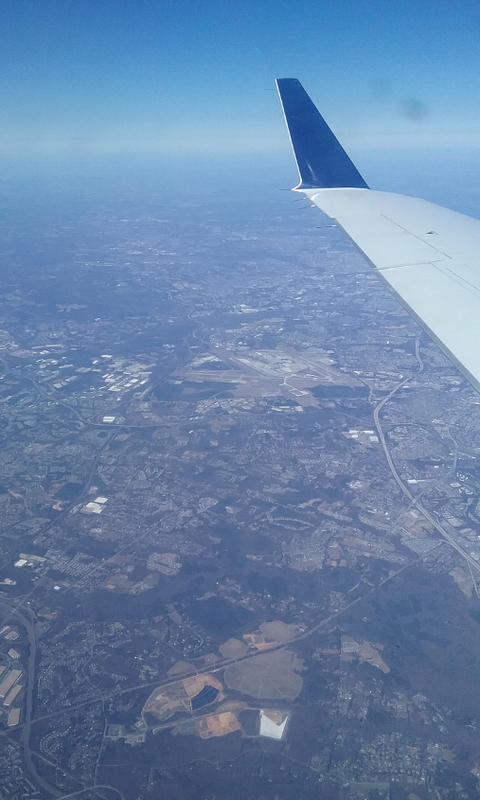 The lower left of the photo is just east of Marydel, DE. 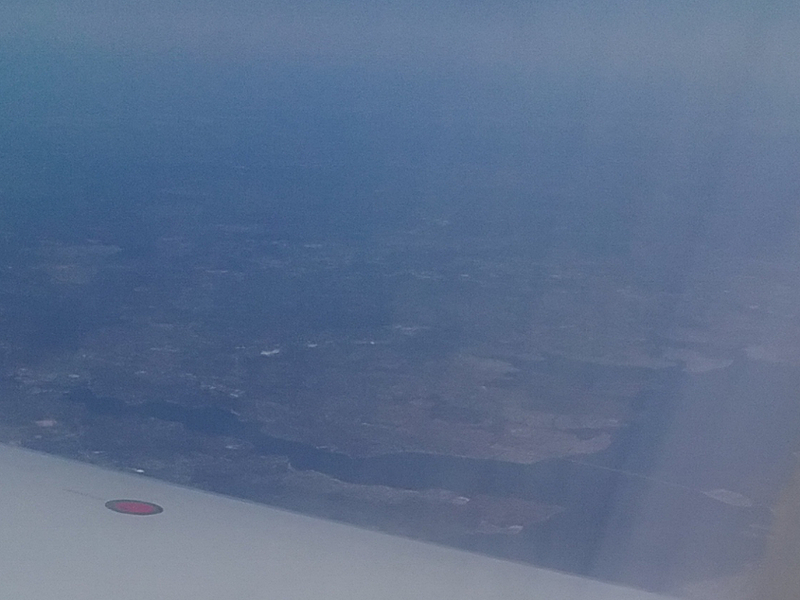 Near the upper right, you can see where the Delaware River forms the Delaware Bay. 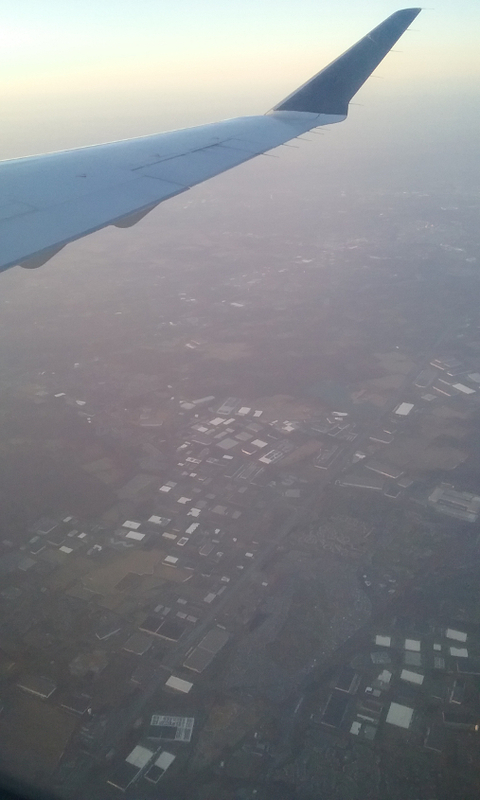 The land behind that is in New Jersey. Go to Dover, Grover! The city we see here is Dover, DE. Dover Air Force Base is on the right. 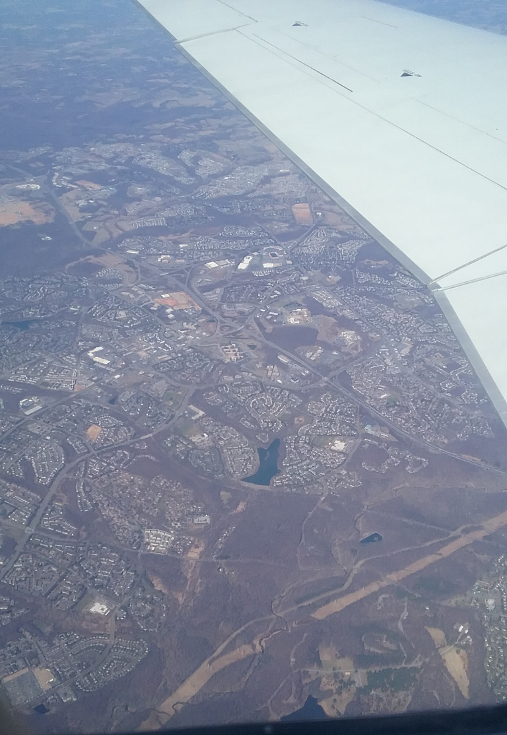 Flying over southern New Jersey, the lower left is in Commercial Township. (Rolls head all around.) Commercials! 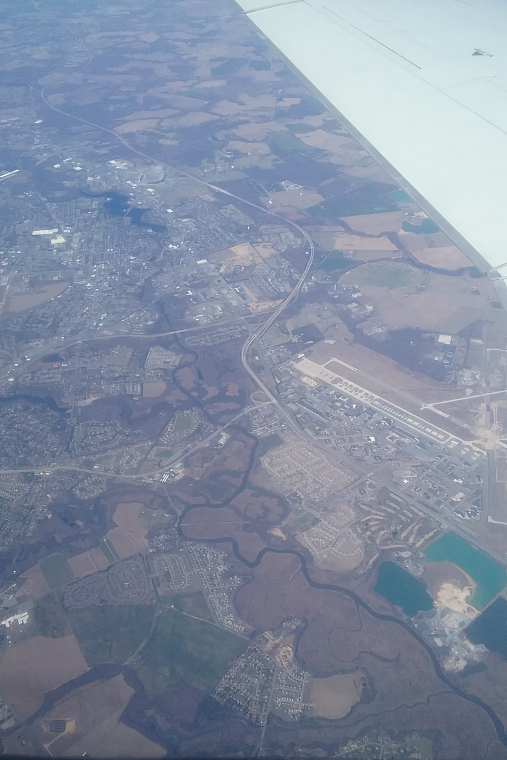 Egg Harbor City, NJ, is at center right. The Atlantic City Expressway is on the left. US 30 runs up the right. Google Earth labels this New Jersey locale as Beach Haven West. It has little canals where most towns would have alleys! The main road here is NJ 72. 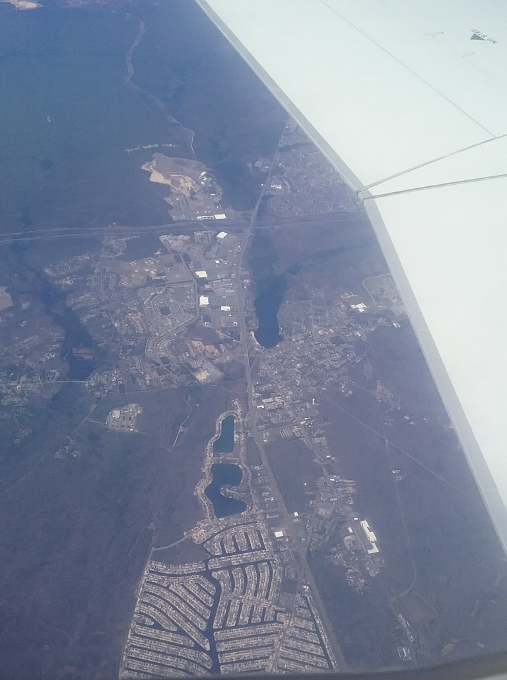 The Garden State Parkway crosses in the upper half of the photo. 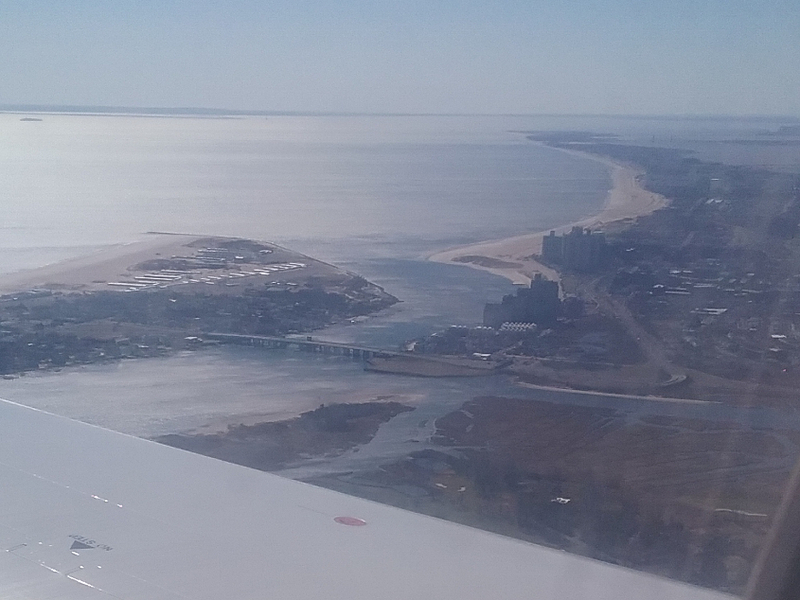 At lower right is the NJ 37 bridge over Barnegat Bay. I'm pretty sure we flew over Homer Simpson's "land the law forgot"! The New Jersey shore would be on the left, but I think the New York City borough of Queens would be straight ahead. 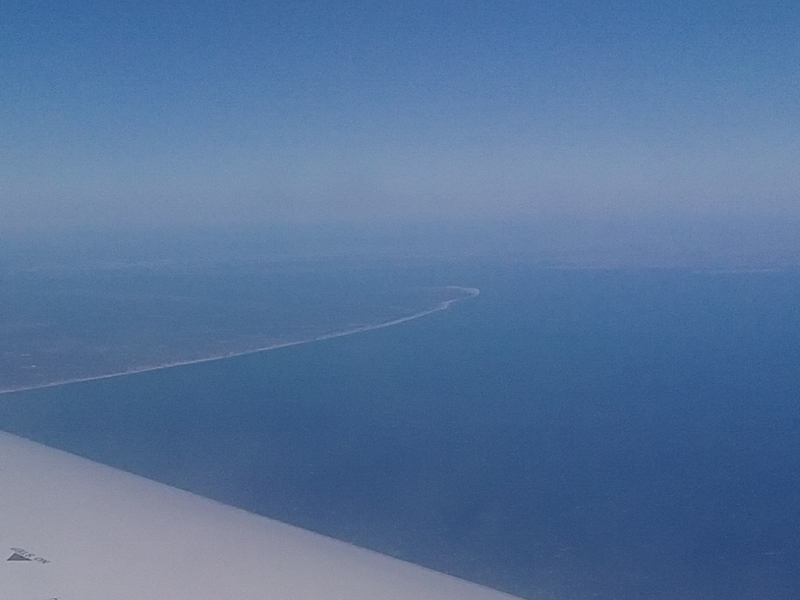 At center left is Atlantic Beach, off Long Island. The bridge is the Atlantic Beach Bridge, which runs to near the edge of Queens. My flight from New York to Cincinnati was the only one not spoiled by nausea. This photo over Queens looks like the All In The Family credits. 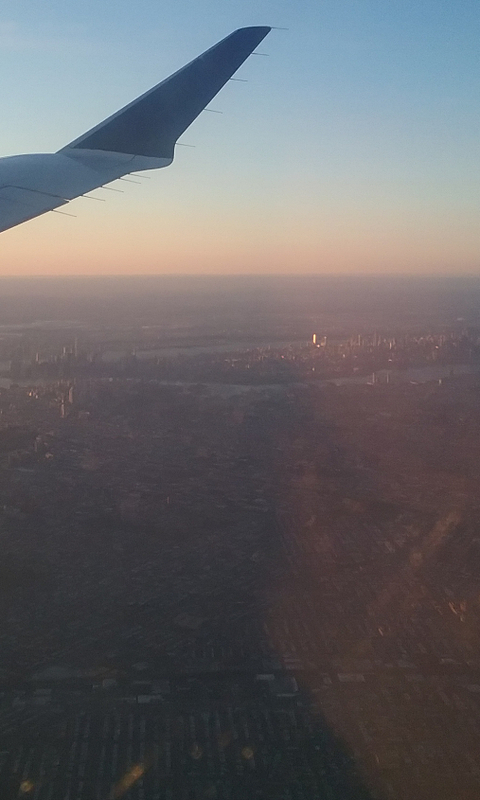 It's as if Archie Bunker cracks a big bunker blast and propels himself over New York! 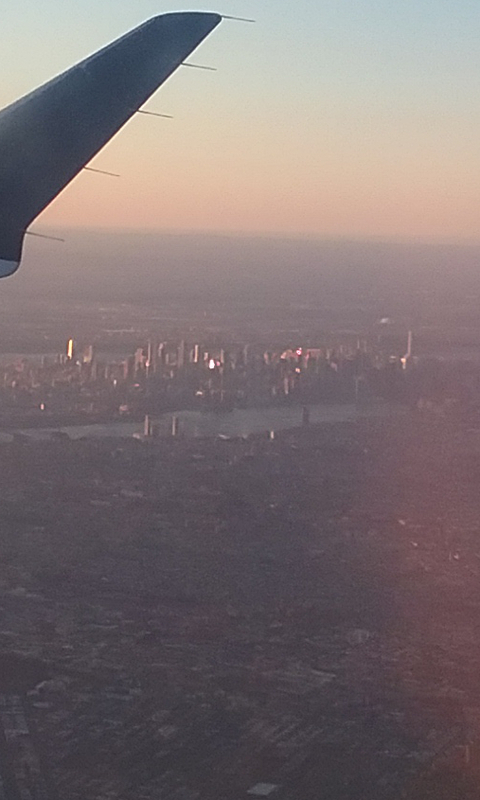 We're probably over Queens or Brooklyn, and this is a view of Midtown Manhattan. Lower Manhattan comes into view at left. Here you see I-278's Verrazano-Narrows Bridge, linking Brooklyn with Staten Island. Around Rossmoor, NJ. I-95 is faintly visible. It starts near the lower left and shoots diagonally up and to the right. 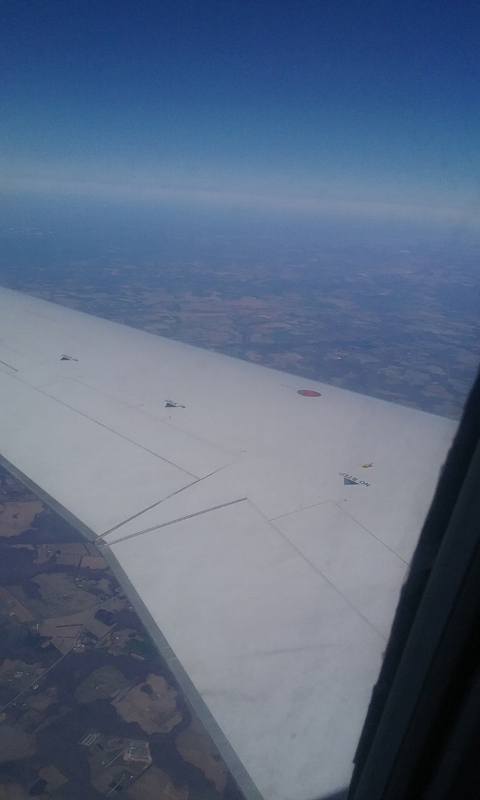 I was surprised to figure out this flight went over central West Virginia. 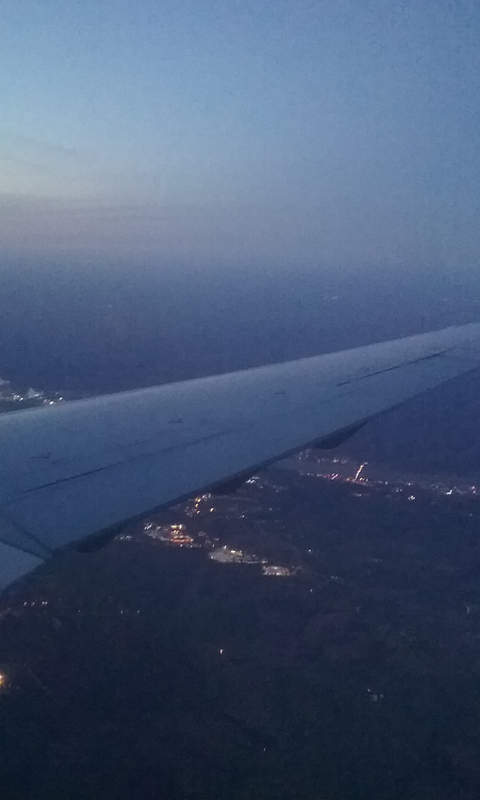 Now we're almost home, and we're looking out over Maysville, KY. Ohio is in the background. The Simon Kenton Memorial Bridge is the well-lit span over the Ohio River. 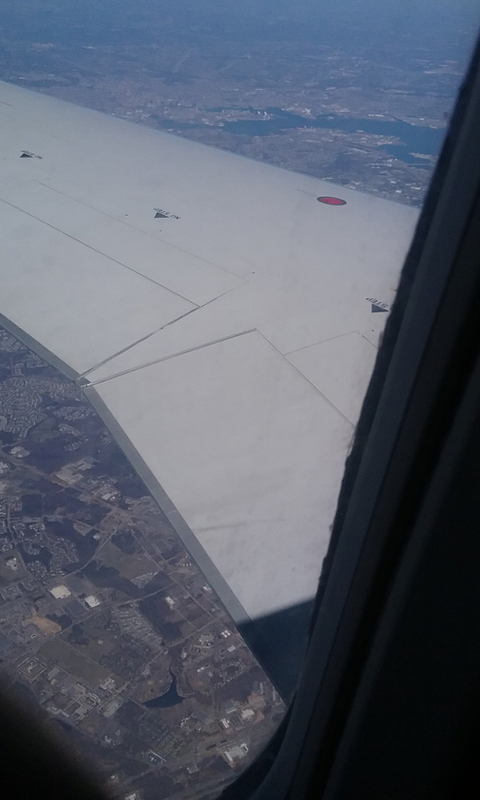 The light gray areas under the plane's wing is the area along the AA Highway that got all Frischified (meaning it had a Frisch's Big Boy restaurant).